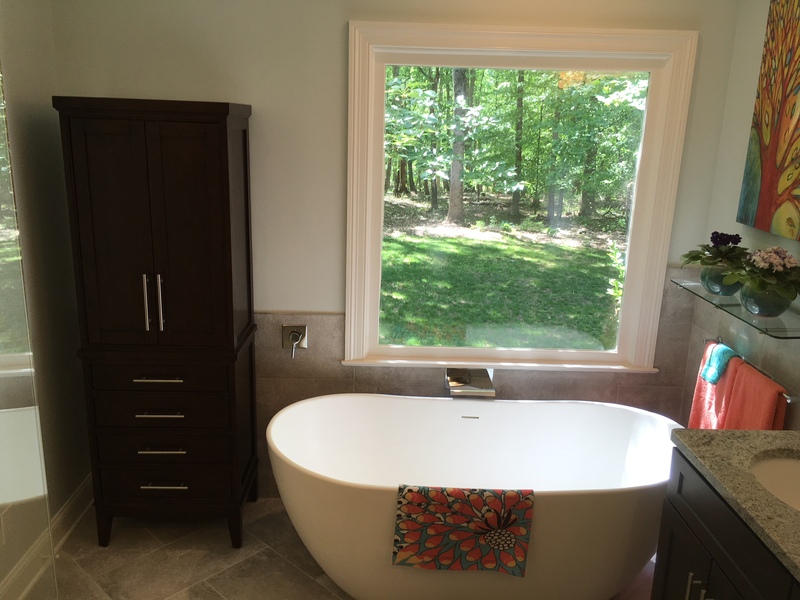 During our latest master bathroom renovation in Summerfield just outside Burlington, we completely transformed a cramped space with poor function into a spacious bathroom with a luxurious shower, large picture window over a soaking tub and double vanities. We dramatically improved the layout by adding around twenty square feet and rearranging the space. 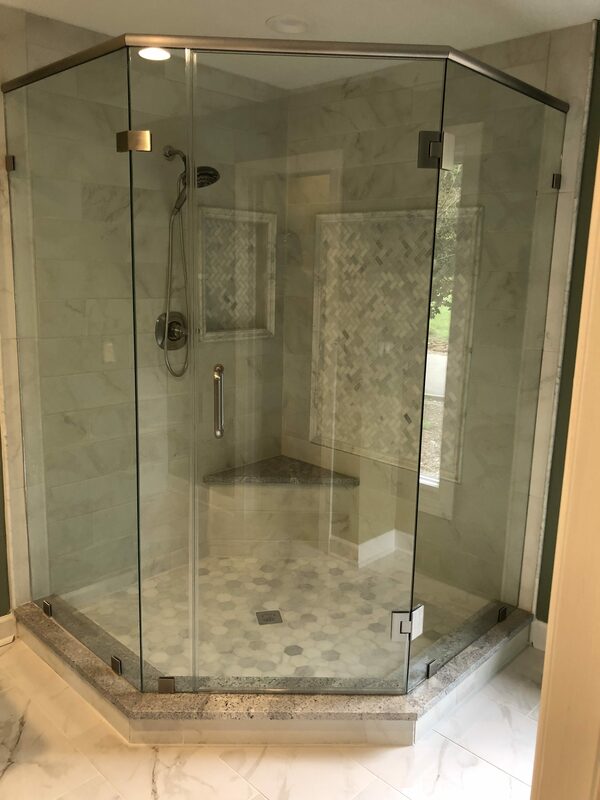 In fact, the stunning tile shower with three different shower heads used to be a storage closet! If you are anyone you know is interested in expanding and/or improving home, contact us today. We would love to discuss your master bathroom renovation with you and will happily provide you with a free estimate. In our latest whole-house remodel, this unique outdoor living area shows how we paid attention to every detail. 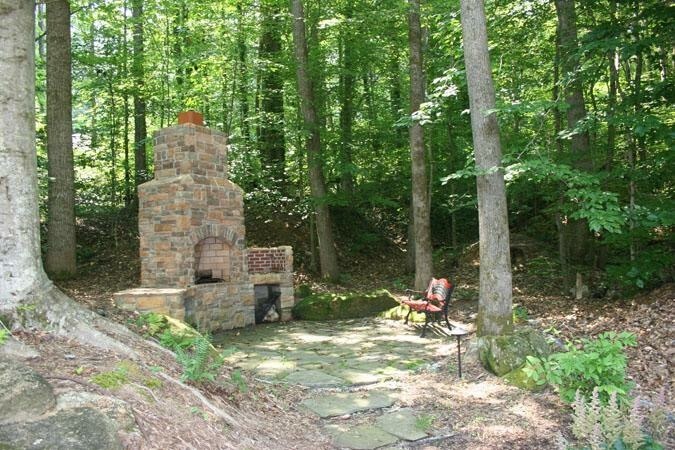 The full wood-burning fireplace made from stone includes area to store firewood on either side and allows the homeowners to cook over an open flame. We chose blue stones for the patio so they would seamlessly blend with the surrounding area. Lastly, we integrated a full sound system to take this outdoor living space to another level. If you or anyone you know is interested in creating or renovating an outdoor living area outside your home or business, contact us today for a free quote. The new screened porch is one of the homeowners favorite places in their newly reconstructed home. 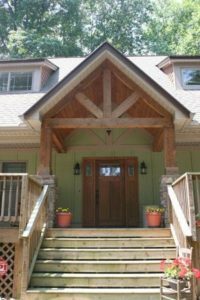 We used all-beam construction, pressure treated decking, and tongue and groove clear-coated pine wood ceiling to complement the rustic details in this craftsman style home. Next, we built half-walls out of dry-rot material and used SCREENEZE® to screen all the way up to the ceiling to enhance the wood view. 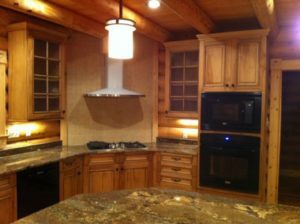 Lastly, we added recessed can lights, a fan and a wired speaker system to finish off this beautiful space. 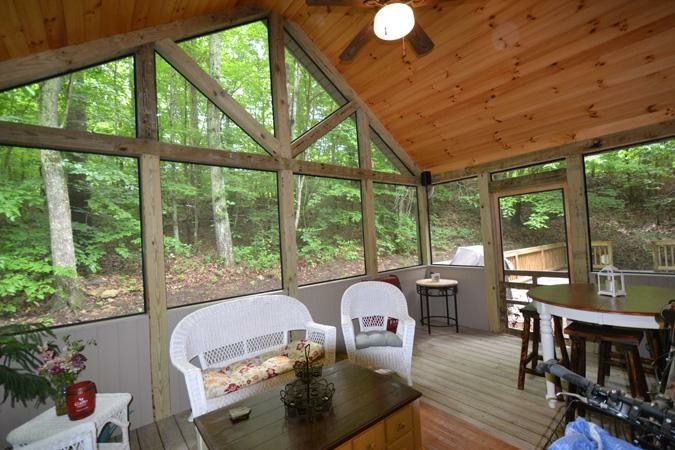 If you or anyone you know is interested in adding a new screened porch to your Greensboro area home, contact our screened porch builders for a free estimate. In the Summerville home we reconstructed from a fire (click here to read post), the exterior of the home changed just as much of the interior. After adding to the front of the home and the landscaping, the curb appeal now has a tremendous impact on the homeowners and their guests each time they drive up to the home. 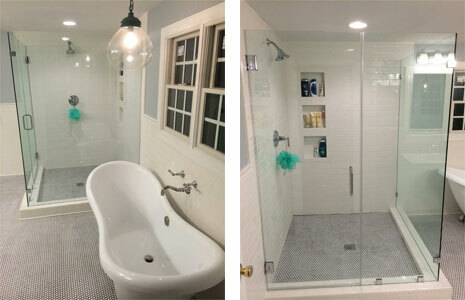 In this master bathroom renovation outside Greensboro, NC, we completely changed the layout of the space. After gutting the existing bathroom, we moved the location of the shower and created a separate room for the toilet. 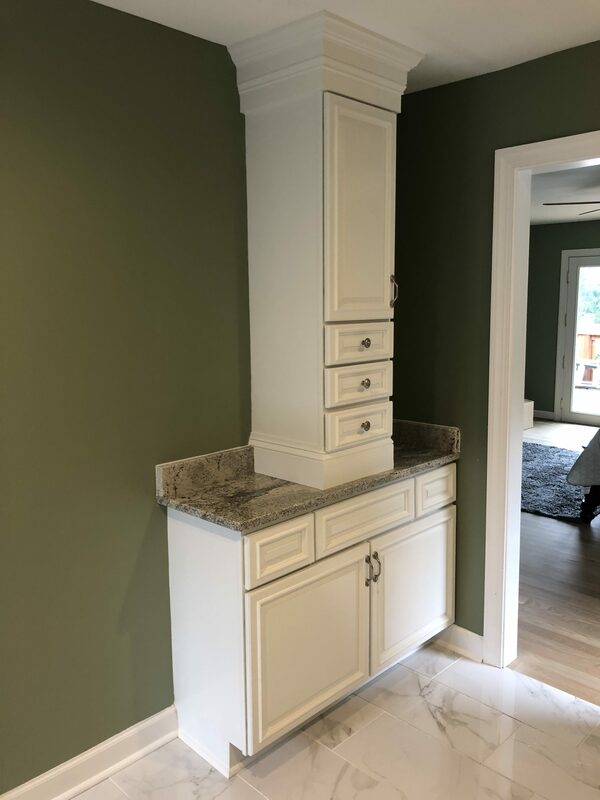 We added a tower between the sinks on the new double vanity and another tower for additional storage. 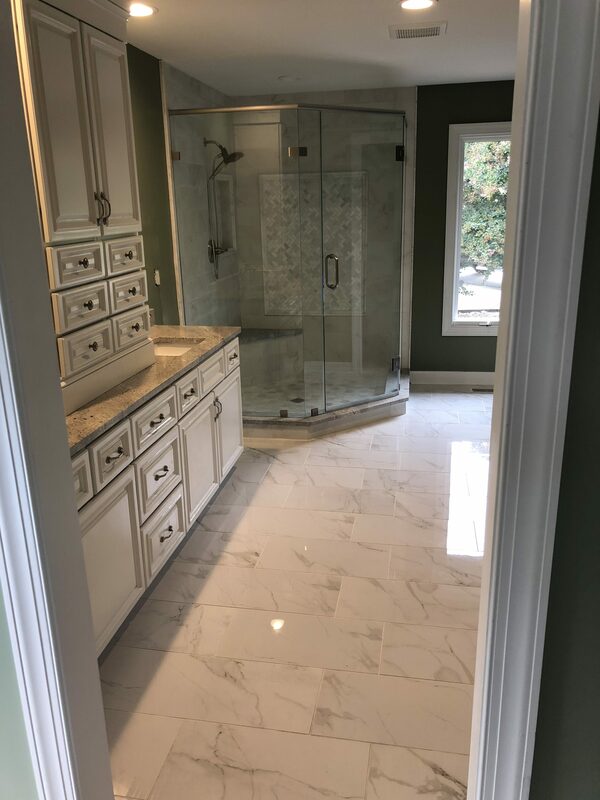 And if the frameless glass shower, all new fixtures, drywall, paint and trim weren’t enough, we used marble tile throughout the space: in the shower, floors and countertops. We finished this contemporary master bathroom renovation off with a barn door to tie together the existing one used in the bedroom. 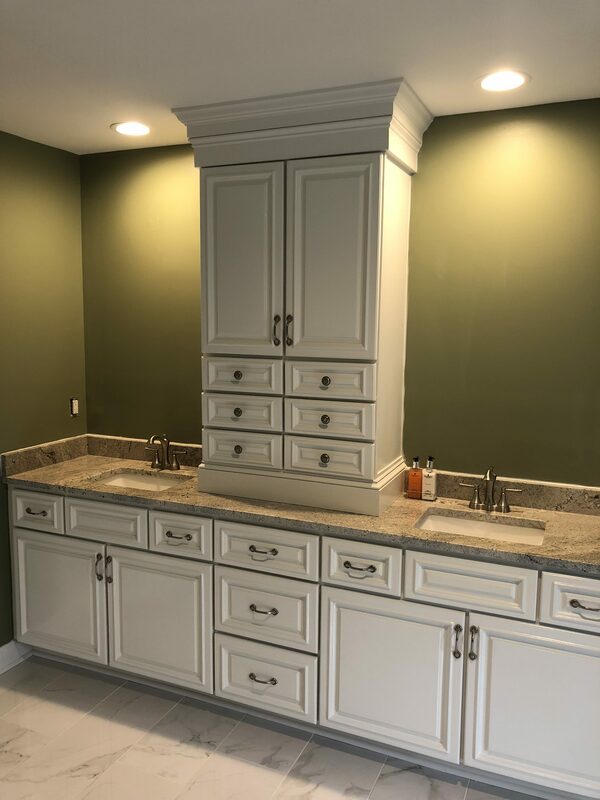 If you or anyone you know is interested in remodeling their master bathroom, contact us today for a free estimate. We hope to have the opportunity to make your dreams a reality. 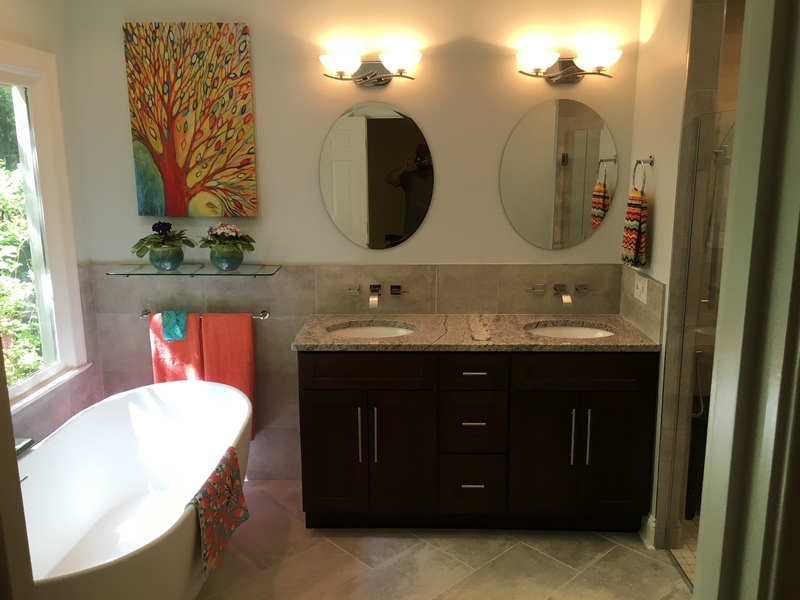 These Greensboro homeowners were tired of living with a tiny master bathroom. 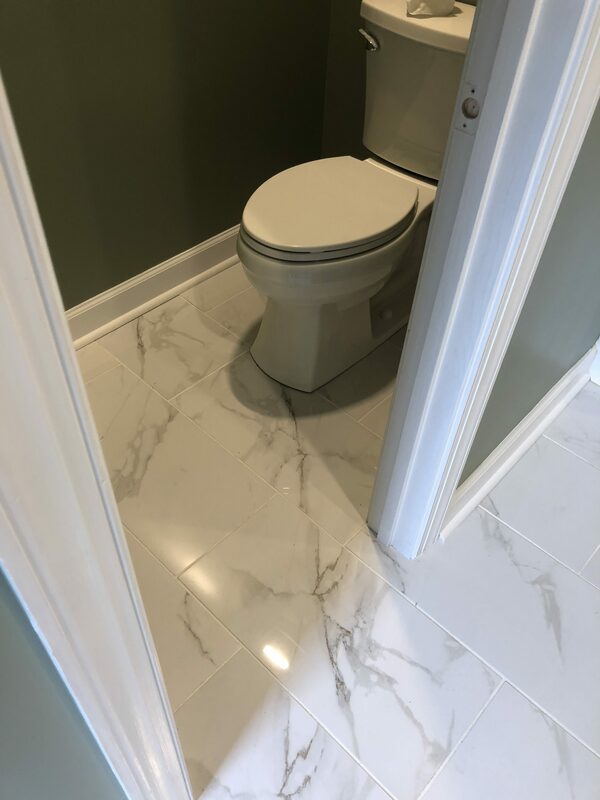 They called on us to transform their cramped space into a spacious bathroom that truly felt like part of a master suite. 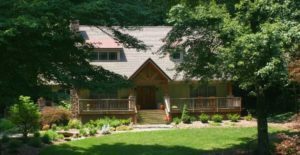 Our expert craftsmen have done it again; you will not believe this beautiful log home we just finished building in Viriginia. 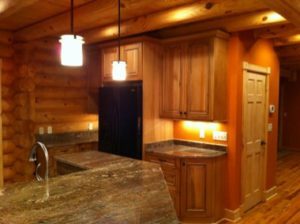 This 4,800 square foot Barna log home shows how meticulous the builders at Lakenridge Builders are. We take the time to make sure that every last detail is taken care of giving our clients the peace of mind they deserve. 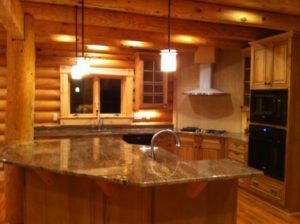 If you or anyone you know is interested in a log home built from the ground up or any kind of custom home build, contact us or give us a call to discuss your project.